Oula Khoury, a first-year Ph.D. in Clinical Psychology student, is studying the cultural and political violence effects on children. Particularly, Oula aspires to study familial and cultural variables that can serve as protective or risk factors in the face of chronic exposure to war and political violence. Following her academia at Palo Alto University (PAU), hopes to work with children and families of diverse cultural backgrounds within the context of community mental health centers. Oula is Palestinian and was born and raised in Israel. She attended the University of Haifa in Israel for her undergraduate studies and completed a Master’s Degree in Child Clinical Psychology at Tel Aviv University. She first became interested in working with children because she felt that contact with them helped her to get in touch with her inner child and brought out a happier side of her. She was curious as to how children think, conceptualize, and experience the world around them. Following her masters program, Oula spent four years completing a dual internship in clinical and developmental psychology to obtain licensure in Israel at a health community center and a child development center, both in Tel Aviv. Oula spent her time as an intern in the child development center and outpatient mental health clinic for children and adolescents, working mainlywith children under the age of 10. The most rewarding part about working with children: seeing how quickly they could improve, especially when parents were cooperative with treatment and supporting child improvement. Oula felt the most difficult part of her internship experience was when child services and other agencies needed to become involved with the cases due to abuse situations. How did Oula find PAU? Oula moved to the Unites States five years ago with her partner to pursue higher education. She searched for a Ph.D. program that would serve both a clinical and research focus and that had an excellent good reputation in the mental health community. After consulting with several professionals in the bay area who recommended PAU, she began her Ph.D. studies. 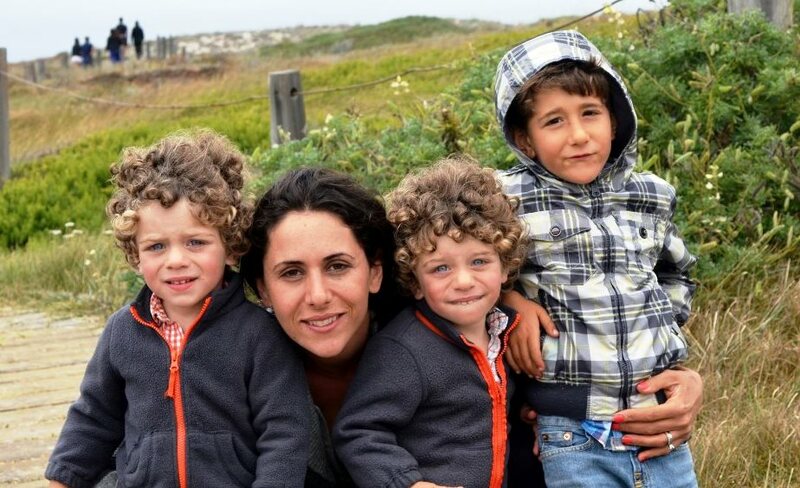 Oula has been living in the Bay Area for the past three years and is a mother of three boys: Ryan (age 4), Jude (age 3), and Kayan (age 3). Oula’s research background included the completion of an empirical thesis exploring the moderating effects of parental styles on the relationship between chronic political violence and children’s psychological distress across cultures. Later, she also worked for a period of four years in the Cohen-Harris Center for trauma as a research assistance studying personality variables that predict willingness to engage in violence against outside members in the context of the Israeli-Palestinian conflict. Learn more about the Ph.D. in Clinical Psychology program.